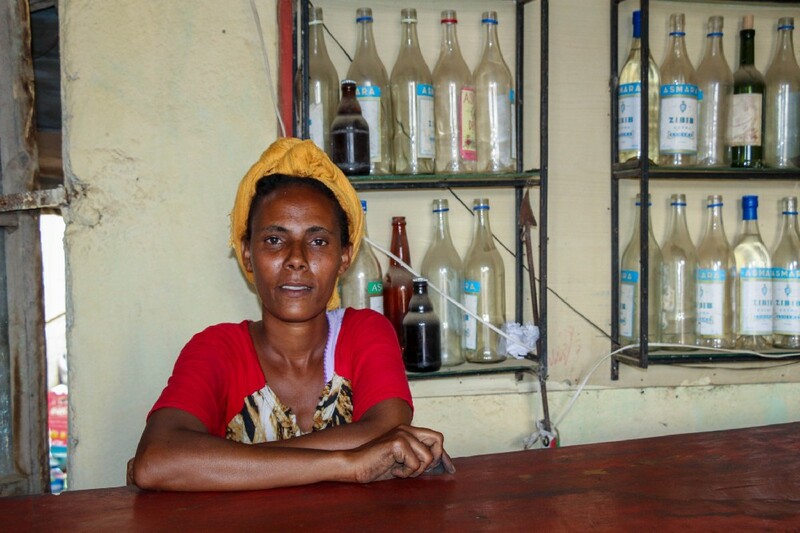 Maidma restaurant owner Kuhulo Kidane is very excited about soon being able to flip a switch to power her appliances. She has been using a diesel generator, spending 3000 Nakfa (USD 200) every week for her refrigerator and for lighting, on top of the 5,000 Nakfa (USD 333) she spends per month on firewood. Restaurant owner Kuhulo kept soda bottles in a canvas bag to keep them cold and save on her energy costs. 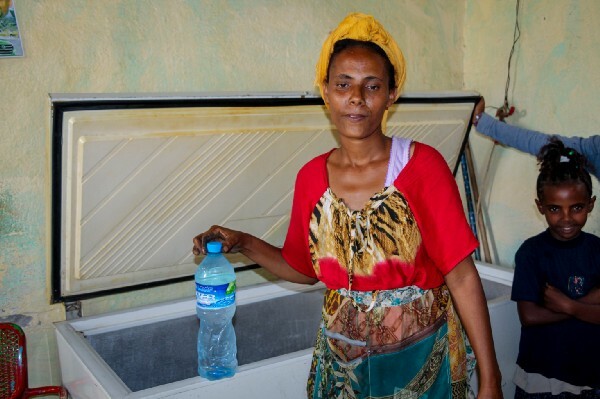 Having a reliable source of renewable electricity means she can now use an electric oven to cook, reduce her costs substantially, and expand her business. Around the world, 1.3 billion people lack access to electricity. More than 600 million are in sub-Saharan Africa. 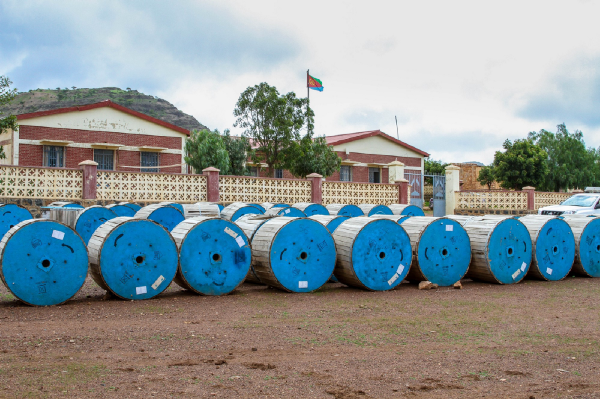 In Eritrea, approximately 32% of the national population have access to electricity, but only 3% in rural areas (REEEP). The project targets off-grid rural towns and villages l population have access to electricity, but only 3% in rural areas (REEEP). 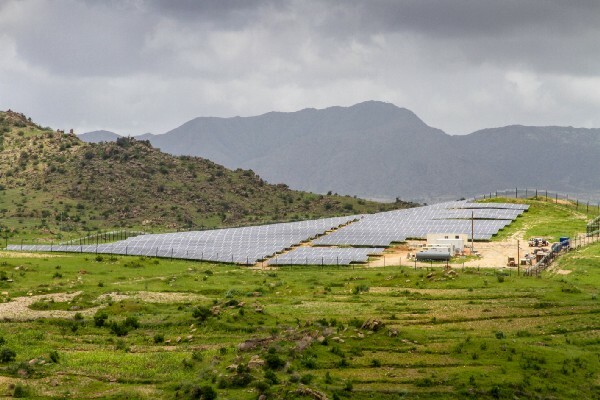 Eritrea embarked on a solar-powered project to provide modern, affordable and sustainable energy to some 40,000 residents and businesses in rural areas not served by the national grid. 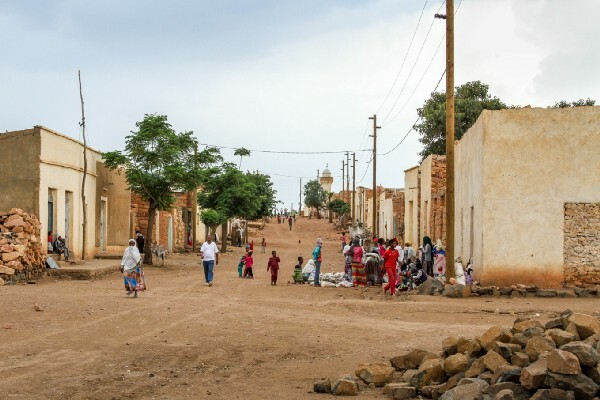 The densely populated rural towns of Areza and Maidma in the Southern Debub region were selected, along with 40 villages, over 500 small enterprises, 15 schools, 2 kindergartens, 2 community hospitals, and 5 health stations. 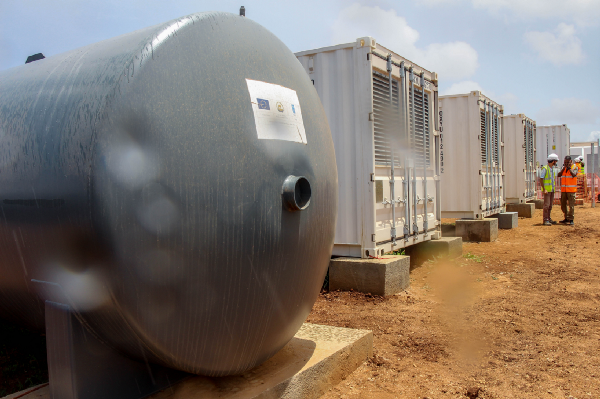 The $13.5M project is supported by the European Union and UNDP, and is implemented by the Ministry of Energy and Mines. 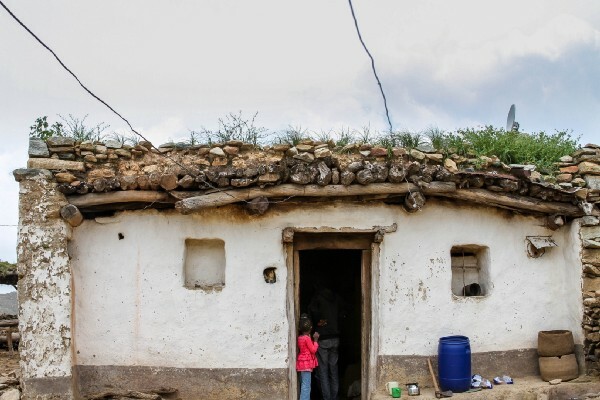 Solar-powered mini-grids help leapfrog connectivity issues for rural communities. Solarcentury, a UK-based international solar company, designed and built two solar powered mini-grids using solar PV & lithium batteries. 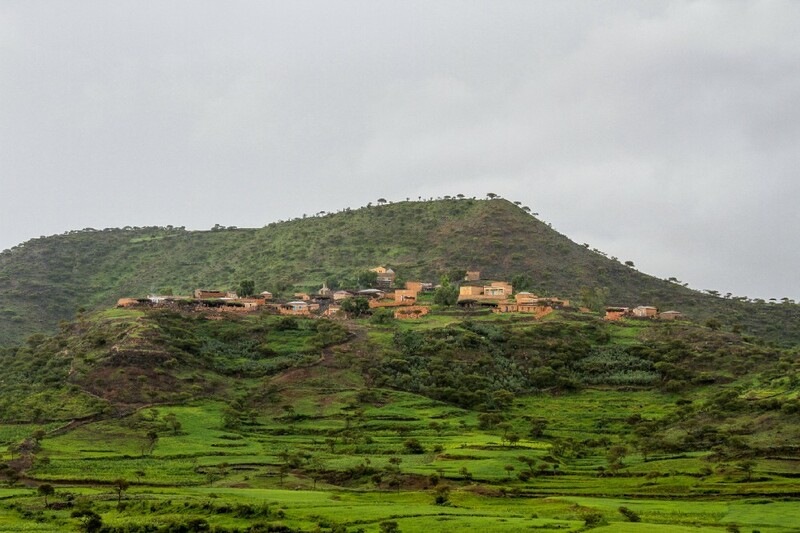 The two sites at Areza (1.5 acres) and Maidma (2.5 acres) aim to showcase that solar systems can provide grid-quality power to rural populations and provide a model for replication in other parts of Eritrea. Mengis Zemichael, administrator of the Areza district, explains that local communities have been involved in activities like digging holes and putting up electricity posts. “Areza residents are very excited about the project. Even on market days, they work from crack of dawn to around 9.00 am, then they go to the market. They only rest on Sundays,” he says. Community members have been digging holes and putting up electricity posts. Electrical engineers work alongside the community, advising on the specifications and providing guidance on safety precautions. 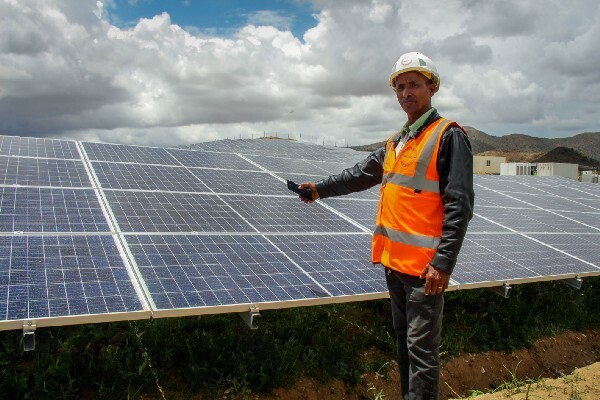 Engineer Filipos Tsegai is part of a 12-member team in Areza that will take over the management of the project from Solarcentury. He is confident that most of the homes will be lit by the end of September 2018. A skilled technical team will take over operations of the solar mini-grids and supply will be managed by the national electricity company. Johani Berhe, 75, a community elder who runs a bed and breakfast in Areza, already uses a solar system but for lighting only. With 40 rooms to light in his establishment he is eager to evaluate which option is more economical once electricity is installed. Johani Berhe (in the middle) with the UNDP and the Ministry of Energy and Mines project managers. Overall, the project will improve the livelihoods of the rural population through increased sources of income and access to social services. It is also anticipated to reduce carbon emissions by 3,000 tons annually. 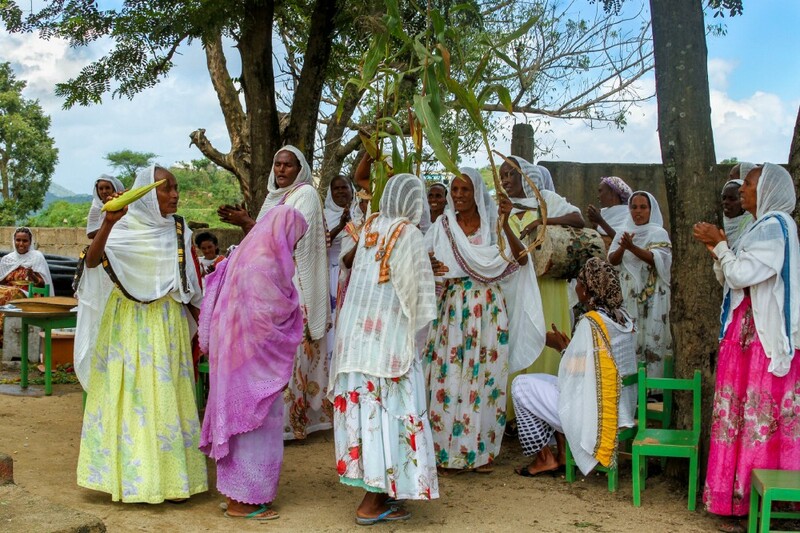 But for Berekti Kibreab, a mother of 5, it is her new found freedom that prevails. She looks forward to watching TV with her family, use an oven and a fridge in her kitchen and see her children do their homework at night. “ Once I get electricity in my house, I will throw out my rechargeable [battery-powered solar panel],” she says. 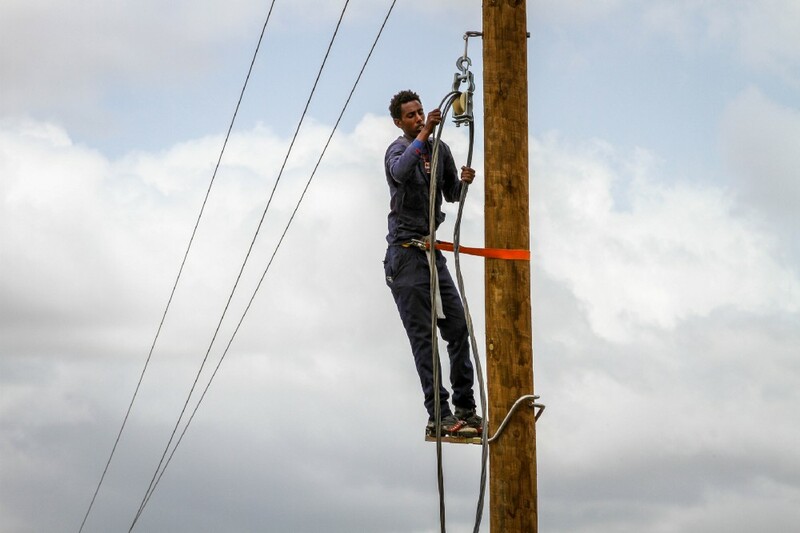 40,000 Eritreans will soon enjoy uninterrupted power and new economic opportunities.